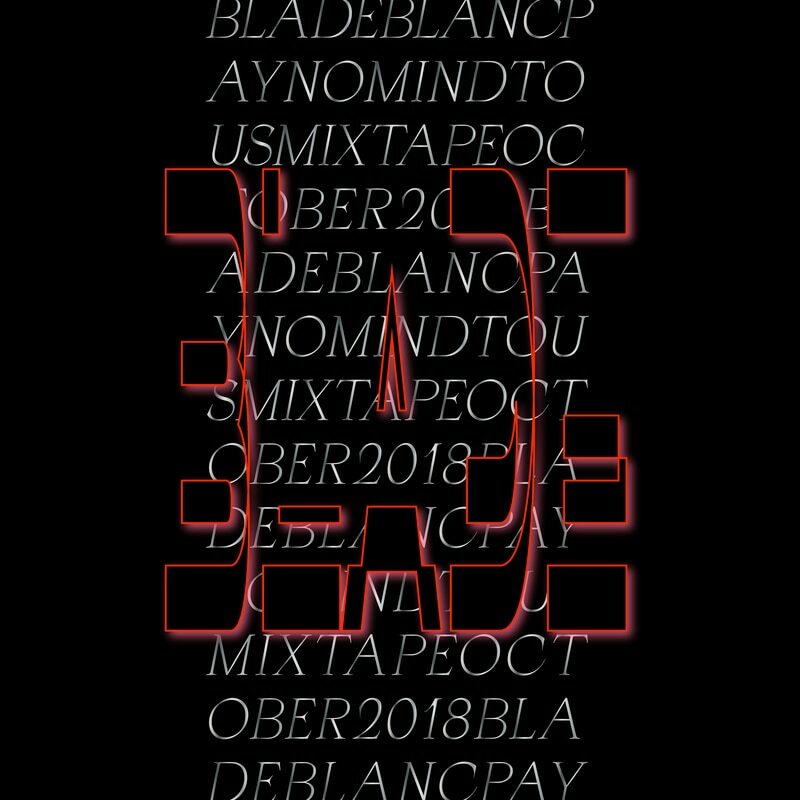 Bladeblanc is the moniker of a young Milan-based producer and dj active in the post-Internet community both on the musical and artistic level via her collaborative art project called Ultracare. Mainly inspired by bass music and the UK underground scene, she commits to the experimenting on the dancefloor by combining a broad range of different genres, going from ambient music up to cinematic Jungle paces, while focusing on the rawest, darkest side of the spectrum. Her interests, through the aforementioned Ultracare duo, also reach other realms such as graphic design and communications, contemporary culture, and much more else, collapsing all these matters in a single, mutant organism. Bladeblanc debuted in 2017 on the Russian Metavision imprint with her amazing Ephemeral EP which is available for free download at this link, offering three different compositions of careful sound art, grimy melodies, and digital paranoia. A couple of other tracks which appeared on a the Soulfeeder eaposting compilations can be found on her Soundcloud channel. We’re happy to share with you our 46th GUESTMIX episode recorded by Bladeblanc herself. The mixtape, presenting a crude, 52-minutes-long selection of modern post-rave anthems, local artists’ blasts, obscure pieces of sonic assault, and atmospheric 170bpm dnb, comes with a wicked artwork by Ultracare. Bladeblanc will perform tonight at Macao together with Cecilia, Croww, Ausschuss, Weightausend & Krolik, and Sense Fracture within a Haunter Record gig happening as a part of a special one-month-long event called We Insist!, devised by the Macao, Milan family to try and resist the local government’s latest attempt to clear the place and monetize through its sale the value the place acquired over many years of relentless cultural, musical and social militancy. To attend the party, follow this link. To know more about the Macao situation instead, click here. We leave you with the full Ultracare manifesto/statement which will surely help you get a better understanding of the artist’s vision. Push the button! No, or yes to caring? The contemporary is too unstable to speak about genre, style, or subculture. No to nothing, yes to opinions. No to minimal, yes to emotional. No to separation, yes to balance. UCX doesn’t stand in the dark, neither it moves against the flow. Ultracare is a construction site, a place where a collective memory is constantly built – it’s the self-consciousness of the contemporary. Ultracare reads the layers of reality by investigating its expressions – music as a tribal rhythm, fashion as a mimetic uniform, culture as every opinion, clubbing as a ritual union, social media as a hidden perversion. It will borrow you a pair of bionic eyes and ears and even a skin – so that you can use it all to search for what you desire.